Full confession time: This comic makes me extremely uncomfortable. 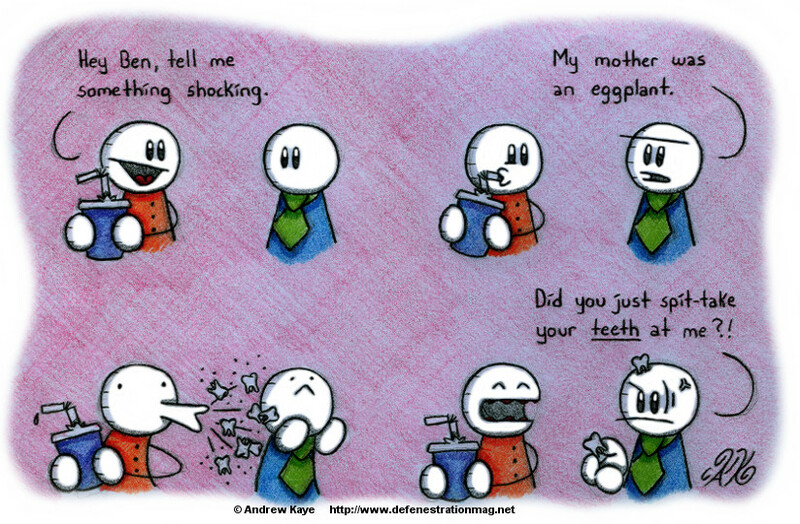 Over the years I’ve developed a huge aversion to mouth injuries. Not just injuries, either; whenever my kids have a loose tooth it creeps me out. I’ve seen childbirth, I’ve seen surgery, I’ve seen some pretty gross injuries in real life, and none of those have made me even remotely squeamish. But any time my kids have fallen and cut their lip or bitten the inside of their mouth or something? I have a hard time maintaining my composure. Weird, right?